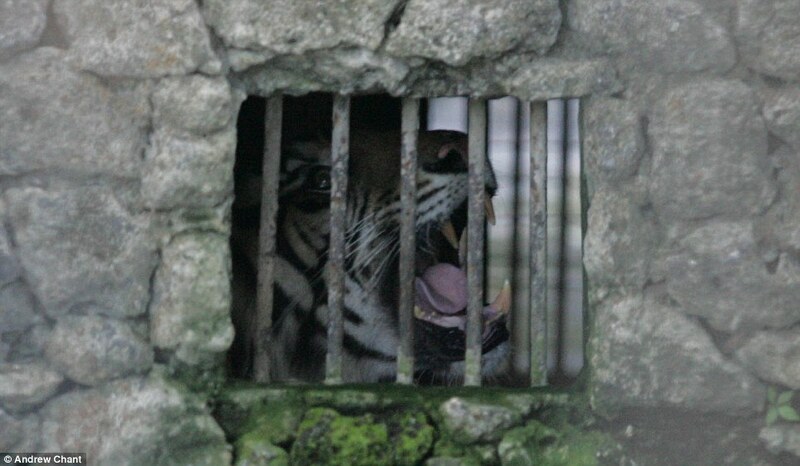 When you visit the Surabaya zoo in Indonesia, you will not enjoy what you see in the zoo. Overcrowding, mistreatment, poor feeding and animal dungeons are just some of the things you will come across during your visit to the zoo. There are dozens of animals that are reported to have died in the zoo in the last few years yet the zookeepers say that the conditions are improving. They claim that the animals died because of old age or diseases that they had. 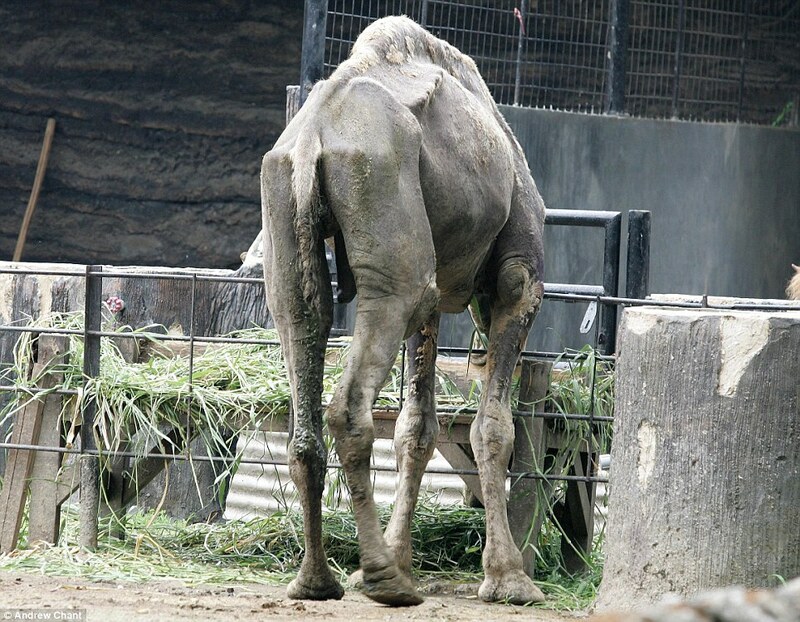 Emaciated: This camel’s ribs were plain to see as it ate grass in its enclosure. A flock of pelicans are kept in a small cage that is barely adequate for them to exercise. Their large number yet the species is not endangered is unnecessary. Queries as to why this should be happening are met with shrugs and no solid answers. 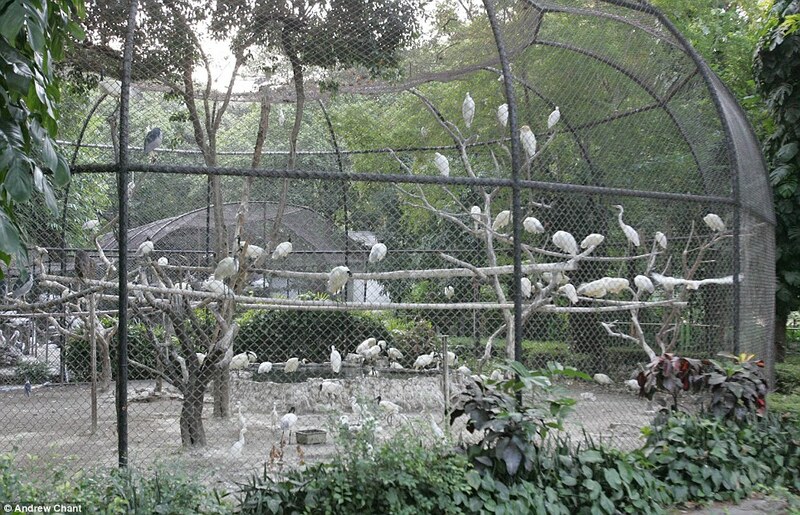 Why should the zoo bother to keep so many pelicans in a cage yet the pelican is not endangered. 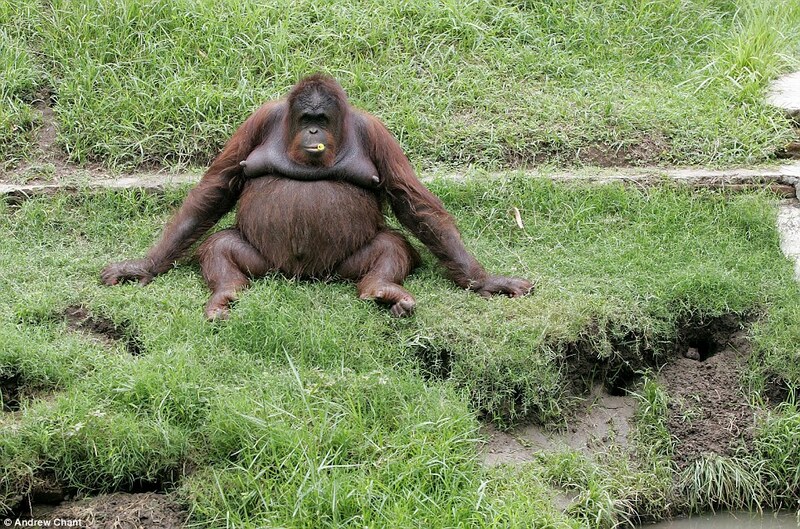 The zoo clearly lacks the capacity to keep animals and take care of them. Just last year, a tiger died from eating poisoned meat. The meat had been preserved in formaldehyde and with time, the formaldehyde let to rotting of the tiger’s digestive system. 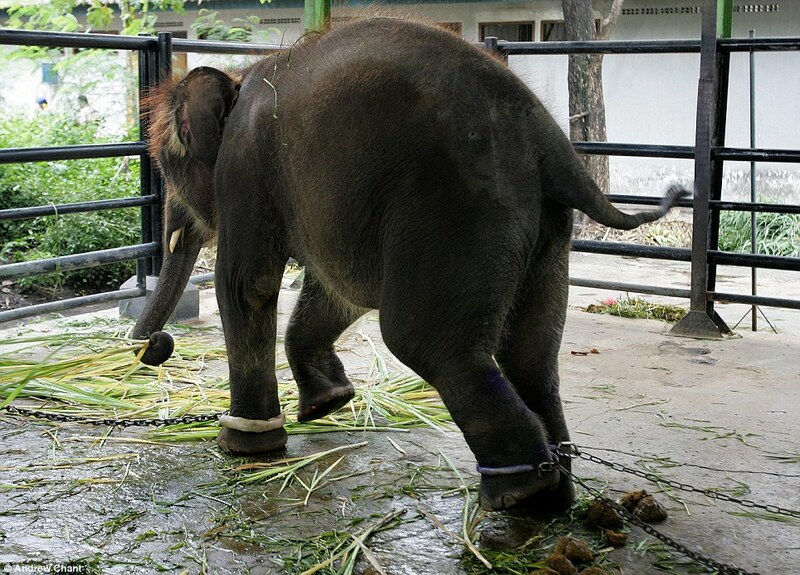 Elephants are kept shackled and starvation is rife in the zoo. 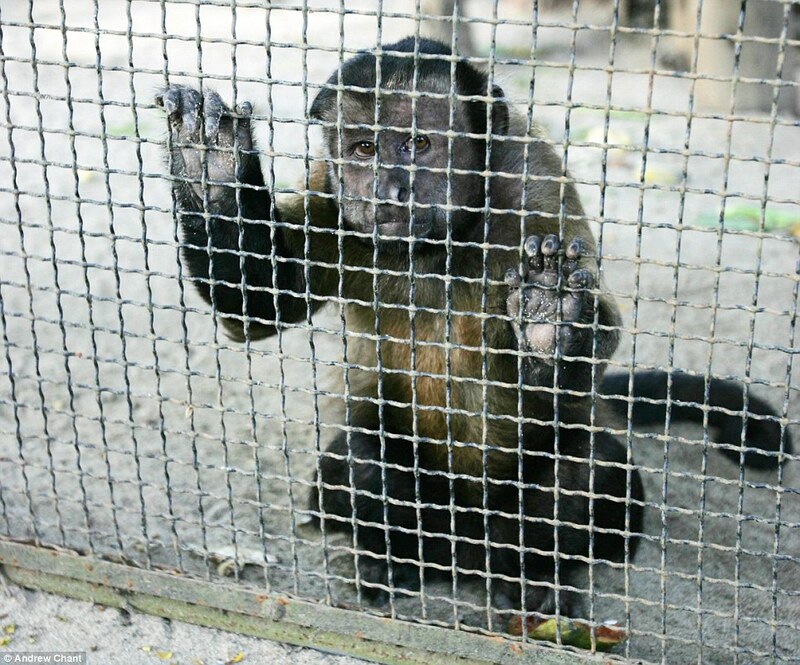 Sad: A South American brown capuchin monkey looks imploringly out of its cage. A giraffe recently died with more than 20 kilograms of plastic bags being found in its stomach after the bags blew into its cage and nobody cleared them. 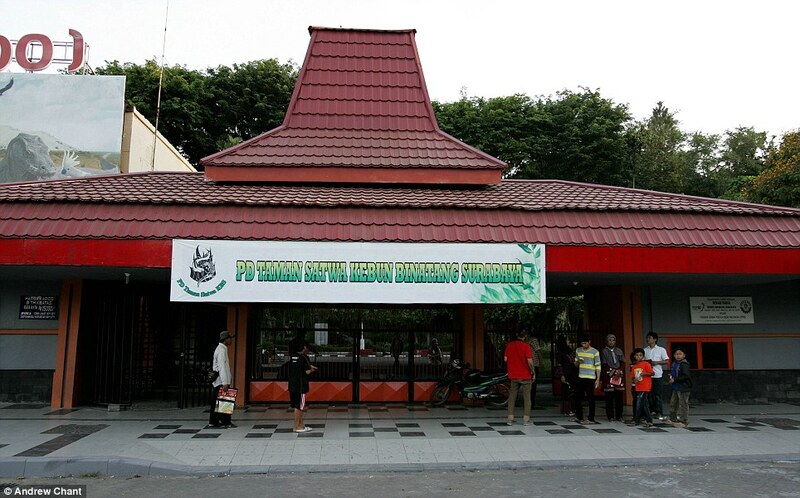 Surabaya zoo easily ranks among the worst zoos in the world. More than 50 animals are reported to have died in the last 3 months only. The caretakers of animals in the zoo are said to prefer selling in their tiny shops on the zoo rather than tend to the animals. As you take a tour, you will see the evidence of neglect. Cages that have other animals in them and rats are the norm in the zoo. Worse is that some animals are kept in environments that are not in any way familiar to them such as a monkey in a cage with no trees or climbing bars, and another that lives on a barren island. The zoo needs to clean up its act or be closed. 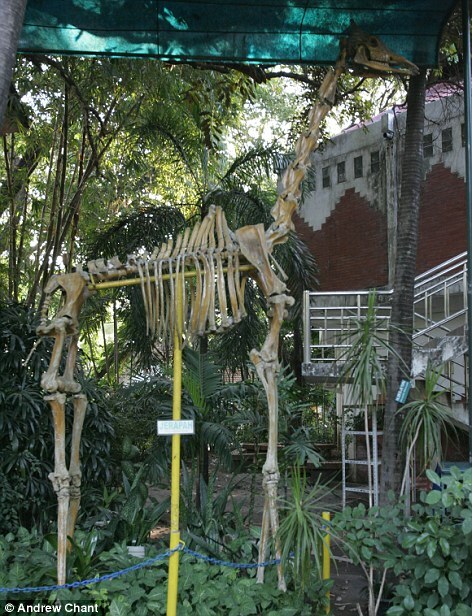 Sentiment about the zoo has led to it being nicknamed the Zoo of Death. 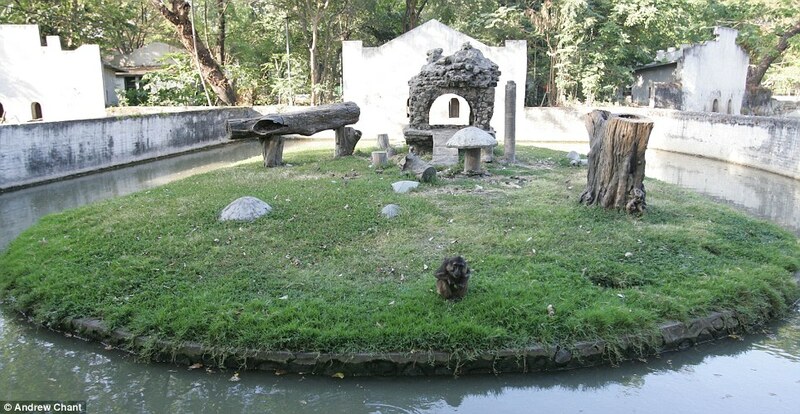 The animals in the zoo are destined to die there but they will die in poor conditions due to disease or neglect. A look at the animals there will leave you in no doubt about that.